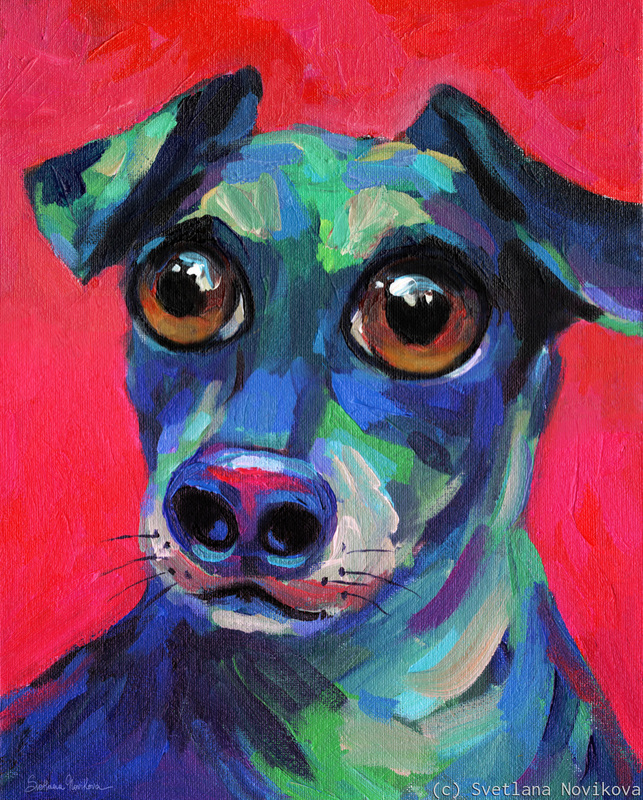 Funny Wiener dog painting by Svetlana Novikova, all rights reserved. Original is currently available for sale. Colors on the monitor may look different then colors on the original. I accept custom pet portrait commissions from your favorite photos. 6.25" x 5"12.5" x 10"18.75" x 15"24.75" x 20"31" x 25"35" x 28.25"